Six years ago, I opined that the Atlanta Streetcar project was destined for failure. At that time, I was criticized for “Not getting “IT””. The notion of “IT” is a handy one when you don’t have a coherent argument. Telling someone that they don’t get “IT” makes the speaker look wise and also makes the target of the matter look like a dolt. In other words, you are not only so stupid that you don’t get “IT”, but there’s not enough time to teach you just what “IT” is and why it is important. “IT” sounds very good in faculty lounges across our great Republic. This is not an “I told you so” piece. Rather, it is a theoretical discussion about what can be done to salvage this misbegotten project. And, let’s face it, the Atlanta Streetcar project is so poorly conceived that graffiti “artists” (pictured above) were able to successfully tag at least two of the Streetcar’s vehicles. Their “work” took a fair bit of time and occurred at the operation’s maintenance facility. Either the Streetcar’s employees did not know or did not care about what was going on, not a good omen. That said, let’s talk about what to do. Needless to say, there are those who feel that the whole project should be abandoned. The three Siemens S70 cars have some sort of resale value since there are a good number of these cars operating on other system in the United States. And, the City of Atlanta could take the same approach as the last time that Atlanta gave up on streetcars; take down the overhead wires and sell them for scrap, then pave over the rails and move on to buses. Frankly, abandonment of the Streetcar is not an option. So, what to do? Ultimately, any solution calls for spending more money, a difficult task given the disastrous results so far. Almost $100 million has been spent and by most measures, the outcome was unsuccessful. There is one excessively cheerful individual who repeatedly insists that massive development has occurred as a result of the Streetcar. Say what they will, the real measure is at the farebox. And by that measure, the Streetcar is a failure. When asked to pay for their ride, the market for the Atlanta Streetcar evaporated. Yes, I know that farebox receipts don’t fully cover the costs of operation, but if you look at any of the cars when they are in operation, you will know that the car does nothing but bleed money. If only the Streetcar actually did something. Student Transit 1. Georgia State is now well involved with development around the former Braves stadium. Already, there are massive parking lots for the University’s students and faculty, with much more to come. For the moment, buses take care of things, but why not extend the Streetcar line out to Turner Field? And, while they’re at that, extend the line further into the local neighborhood? Student Transit 2. At the other end of the Streetcar route, extend the line up Luckie Street to North Avenue, serving Georgia Tech and Coca-Cola? Football Transit. Yes, the new stadium will be served by the MARTA Blue and Green lines, but a lot of people come to town and stay in nearby hotels. A special branch could serve the World Congress Center and the stadium, being used only when sufficient passenger traffic is present. And, since we’re talking about this, how about a real high-pie-in-the-sky project? Close Peachtree Street to automobile traffic from 14th Street south through town to Garnett Street. Maybe even on to West End? Turn it into a transit / pedestrian / bicycle thoroughfare. Most auto traffic already uses Juniper Street southbound and West Peachtree Street northbound. A Peachtree Corridor project would serve a number of prominent locations such as the Fox Theater, Crawford Long Hospital, the Atlanta Federal Reserve Bank, and a host of others, making for a true public relations jewel. The Gate City Street Railroad Company (variously 1881 or 1884) ran from near Five Points downtown to Ponce de Leon Springs. Opera house owner Laurent de Give was an investor. Pages 6 and 7 of Martin’s Mule to MARTA, Volume 1, show photos of the line’s car(s). Little else is known about this line, which later became the Union Street Railroad. I have included the Lithia Springs Railway in this list, but I am reluctant to do so. Several sources cite the existence of this car line, but there is little to support it. It is not the Bowden Lithia Springs Shortline Railroad. Listed as “6 miles of railroad, 5 cars”, originating at the Post Office, sharing track with Atlanta Consolidated for some distance. Headed westward toward the Chattahoochee River. Two years later, in 1891, the Atlanta Street Railway was absorbed into the Atlanta Consolidated Railway. Presumably the mules and their horse cars were retired, with the routes continuing as improved electric car lines. Animal drawn cars had the operational advantages of steel wheel on steel rail, along with low start up costs. Typically, the horse cars were built by stagecoach builders and the like. The car bodies themselves were wood with metal wheels. The animals represented significant operating overhead, along with the commensurate waste left in the streets. The horse car lines had also been decimated by the Great Epizootic of 1872, when hundreds of horses succumbed to Equine Influenza. The horse car lines had a considerable investment in their animals, and as passenger traffic on the horse car lines grew, popular concern about the welfare of the animals became a greater concern. As horse drawn vehicles slowly were phased out, the horse car lines switch to electric traction. One of the evergreens for politicians are high speed trains. They get dewy-eyed at the prospect of having high speed trains in their political districts. 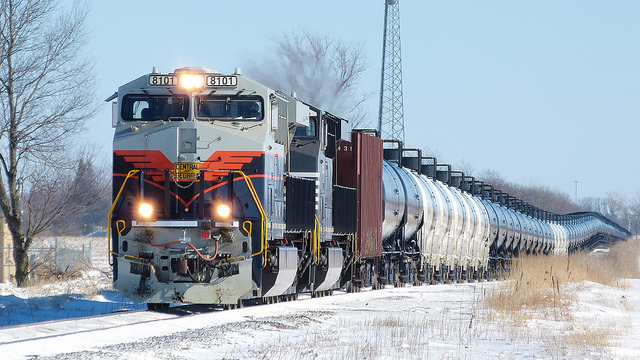 For people who have been savvy enough to get elected and have the self-control which allows them to stay in office for long periods of time, politicians can be remarkably irrational when it comes to the subject of railroad transportation. Especially high-speed trains. And when they get back from Europe, they find themselves standing in front of their constituents, extolling the virtues of high-speed trains. The high speed train is the Holy Grail of modern transportation, that object of exceeding value that must be had by all progressive peoples. It has become a crusade, just as streetcars have become a crusade. As just like the modern day streetcar, the real goals of these projects are concealed behind a veil of flowery words and empty promises. Of course, once the pretty words and pictures are peeled away, there’s still the ugly reality that these trains cost a lot of money. They cost a lot of money to plan for, they cost a lot of money to buy the rights of way for the tracks, they cost a lot of money to build, they cost a lot of money to operate and, most importantly, they cost a lot of money over the long term to maintain. 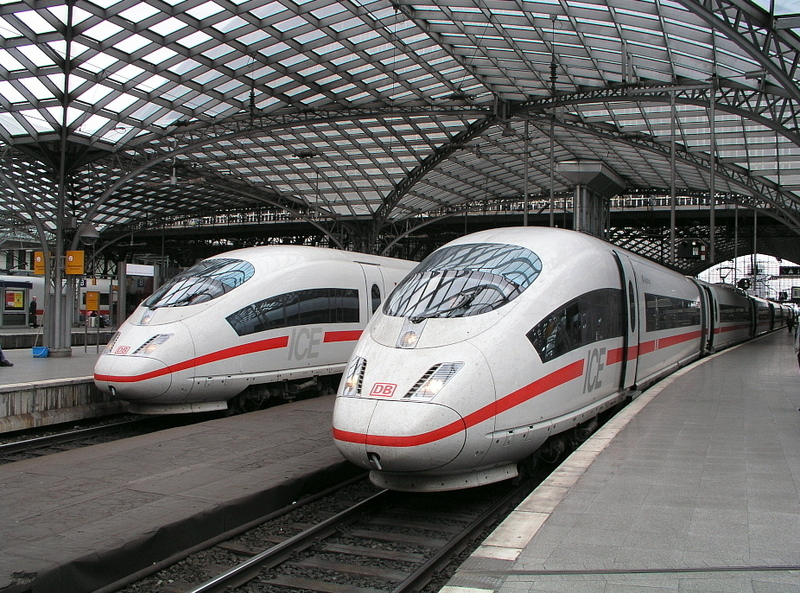 Without continuous maintenance, these high speed trains cannot reliably operate. The optimum in terms of transportation availability, the automobile has already won the war in terms of popularity. Our entire transportation infrastructure revolves around the automobile. Since much of the cost of that infrastructure is buried out of sight, it is impossible to factor in the actual costs of an individual trip to Columbus from Atlanta. Using Mapquest, the trip on I-85 is about 126 miles, taking typically 1 hour and 40 minutes. Except on Fridays on holiday weekends in the rain. You are, modern soul that you are, driving a 2014 Toyota Prius, using about $10.00 worth of fuel. (Interestingly, the way to play this is to make the trip having your fuel costs reimbursed by your employer at the current IRS rate, to the tune of about $60.00). Of course, your mileage may vary. And, no mention of wear and tear on the car or on the roads. Nor a mention of the overhead costs such as insurance. 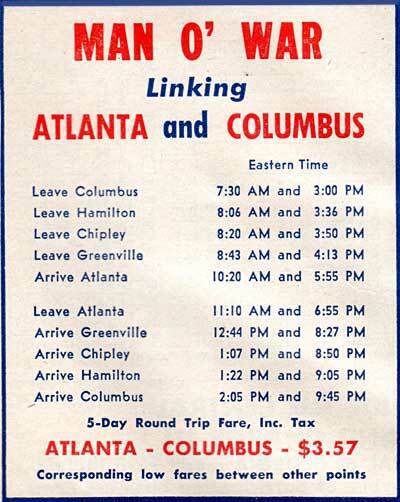 Greyhound goes between Atlanta and Columbus, taking between 1 hour 50 minutes and 2 hours 15 minutes. The one-way fare is around $33.00, less discounts. Again, because the bus uses public rights of way which are supported by the taxpayers, it is not possible to calculate the actual costs of this trip per person. But you have to believe that the costs for Greyhound are artificially low. Until recently, for example, there were direct flights from Hartsfield to Macon which were heavily subsidized by the taxpayers. Even then, the air carrier couldn’t make it work out, probably because more time was spent on the ground taxiing than actually flying. In any case, a Delta subsidiary will get you to Columbus in about 42 – 48 minutes, gate to gate. The fare is in a general range between $450.00 and $600.00. As with the other forms of transit discussed so far, the actual costs are hidden from view, making cost benefit analysis difficult. The Columbus proposal shows three different options, with the least expensive having trains that operate at speed under 100 mph on existing rights of way. You can refer to the costs of these plans in the feasibility study document. Just for fun, let’s go back 60 years, to the early 1950’s. 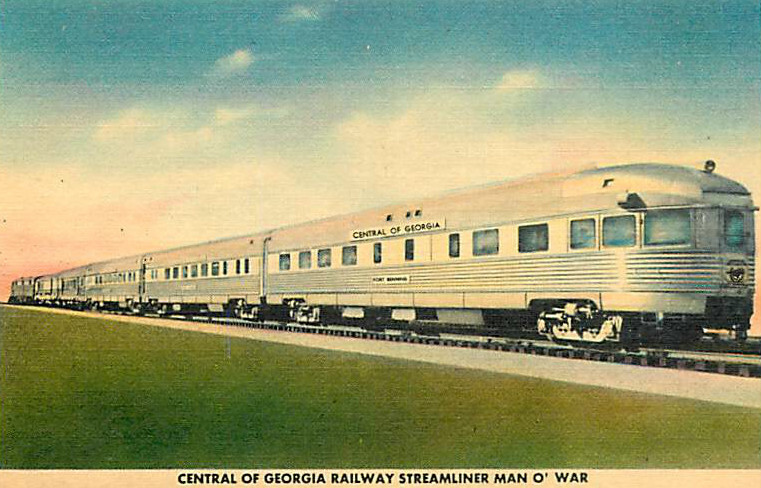 There was a passenger train called the Man O’ War, which ran between Columbus and Atlanta; center of the city to center of the city. The round-trip fare, in today’s dollars, was $31.62, or $15.81 one-way. Of course, that would be different these days, since fuel costs, taxation and such would have grown considerably faster than the official rate of inflation. But, there’s still a point to be made. Popular tastes change. People got tired of taking the streetcar when they could take their car instead. So, the streetcars generally went away. Popular tastes have changed back, with the streetcar becoming a sign of urban progress (and not so much as a sign of improved transportation). We had it all and let it slip away. And, we’re paying for it now. 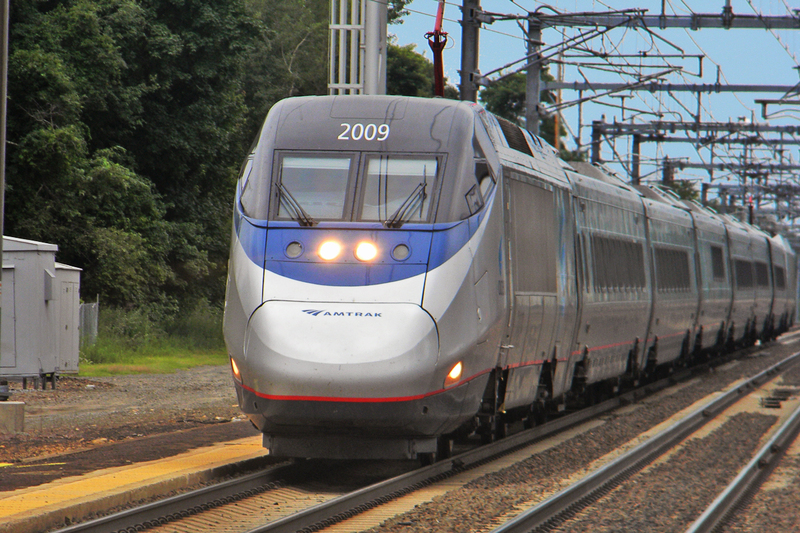 While our elected leaders are dreaming of high speed trains, a more modest train with useful amenities such as Wi-Fi, conference rooms, light food and beverage service, which would be useful for those who travel between Columbus and Atlanta might be a real winner. It won’t be as fast, but it will be just as useful at a much lower price.